Its the start of that time of year again folks, when the Bass are biting hard and big yummy Crappie are being caught everyday. 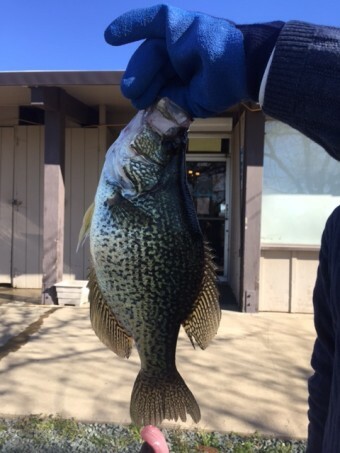 Crappie have been caught off the dock and up in the back of Mountain Springs. Bass just seem to be popping up everywhere at every depth, shallow and up to 30feet deep. We are currently holding steady at 4.5ft from full and are approx. at 92%-93% capacity. Hopefully with the rain in the future forecast we will come up even more. We stocked another load of 1,200lbs of trout this past Friday the 26th. For Trout, shore fisherman are continually well with Night Crawlers, Kastmasters and Green Power Bait. Boaters have been trolling with flashers and worms, and of course the go to lure is the Fire Tiger Rapala. 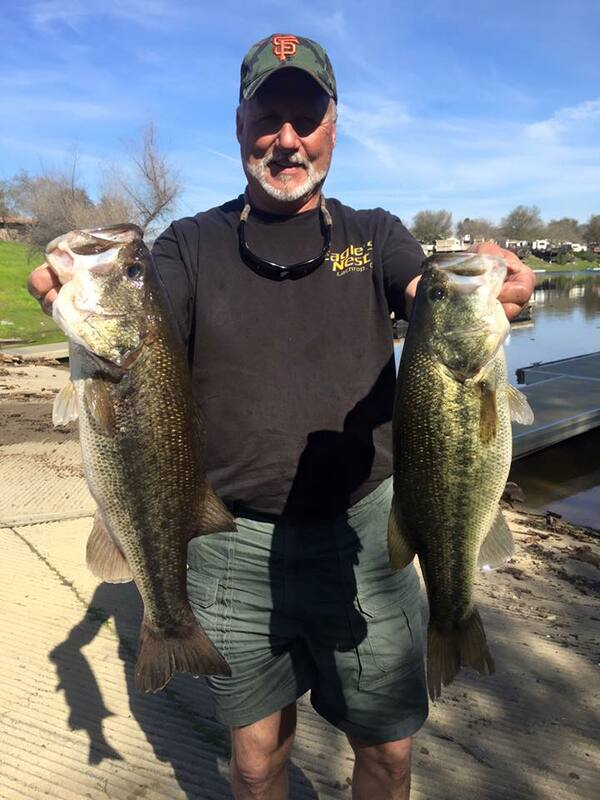 In other news The Fish Sniffer is hosting the 2016 Norcal Trout Anglers Challenge with their 3rd stop here at Lake Amador on March 19th for shore and boat fisherman. The entry fee is $20 and kids are free! Adults are eligible to win a free boat and kids are eligible to win a free kayak rig! There will something fun for everyone, see www.anglerspress.com for more dates, details, and how to enter. And don’t forget to check us out on Facebook for more catches and details. 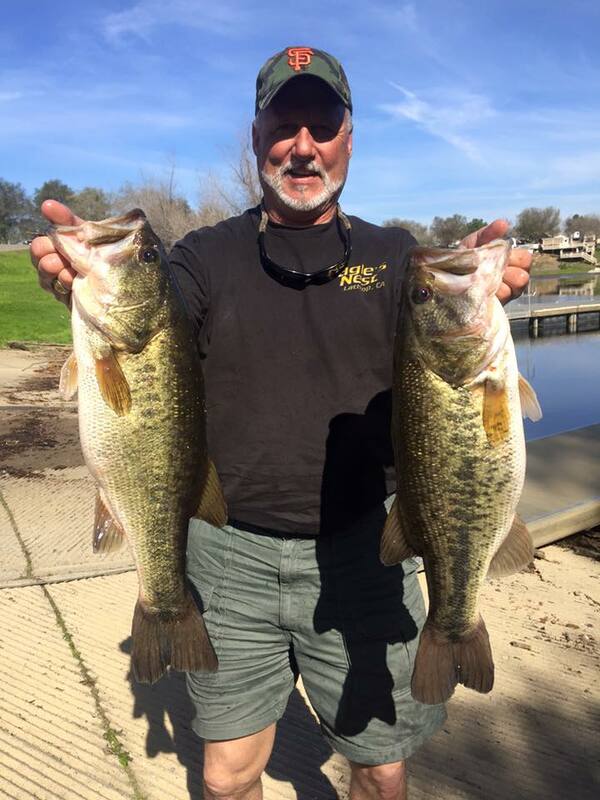 All four of these beauties were caught and released so they can spawn this spring! !